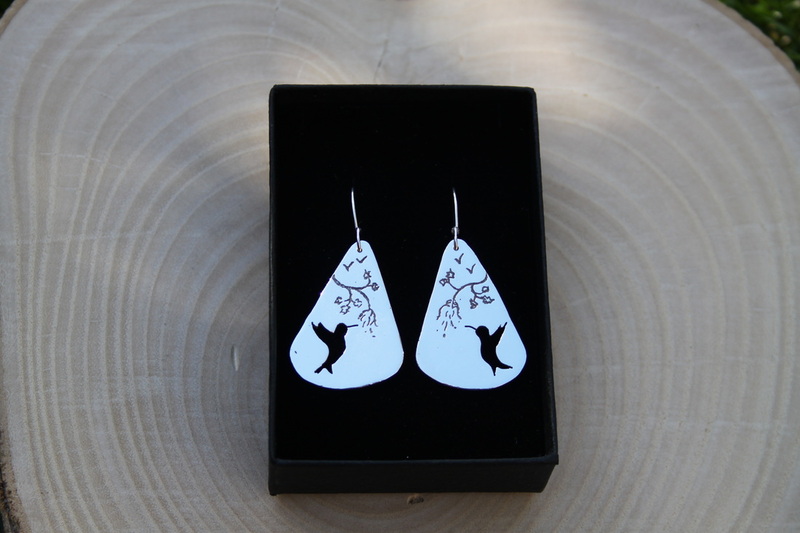 A stunning pair of silver drop earrings with etched background and humming bird silhouette drinking from a blue sapphire bud. 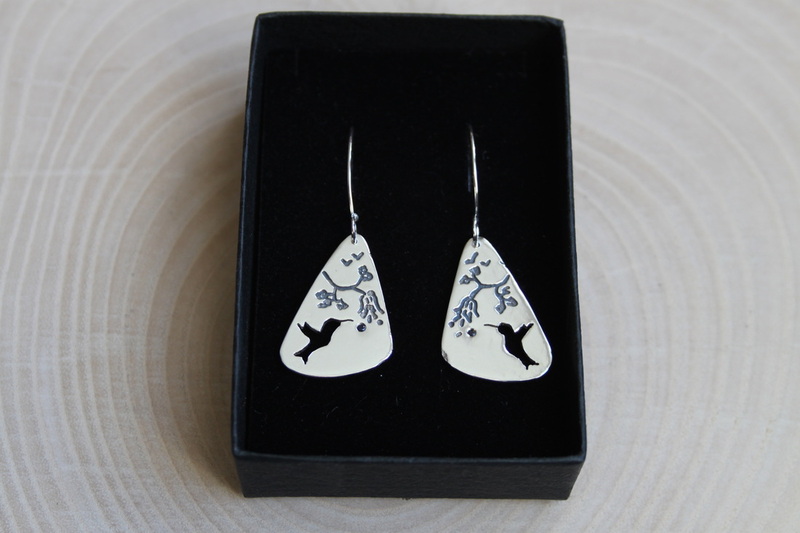 These can be made with blue or yellow sapphires or red rubies for £65, or £55 without gemstones. 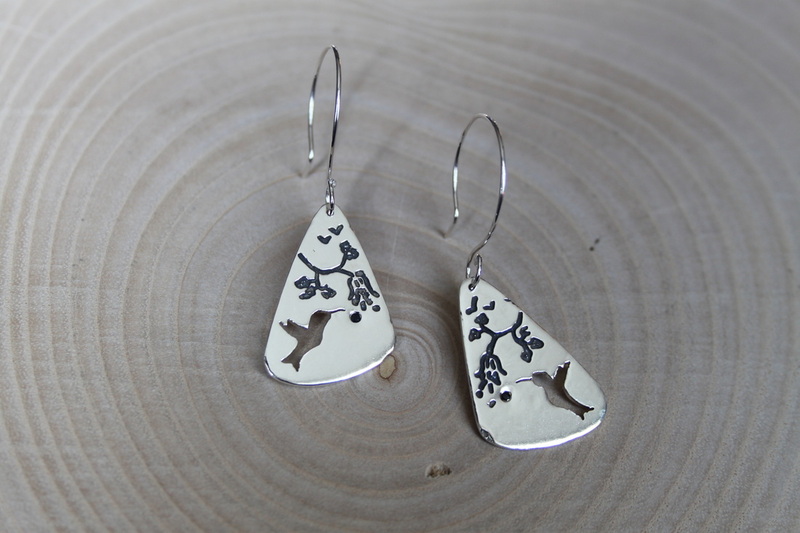 Dimensions: The earrings are 1mm thick solid silver and are 30mm x 20mm in size on hand-made ear wires. 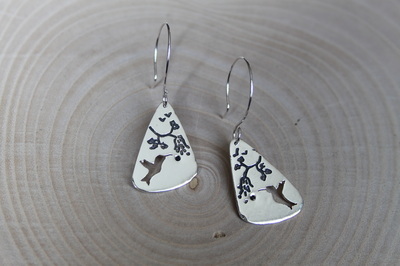 These earrings are made to order, so will take 4 weeks. If you need anything sooner, please contact me to discuss. These earrings come carefully packaged in a lovely black jewellery box with felt inlay.